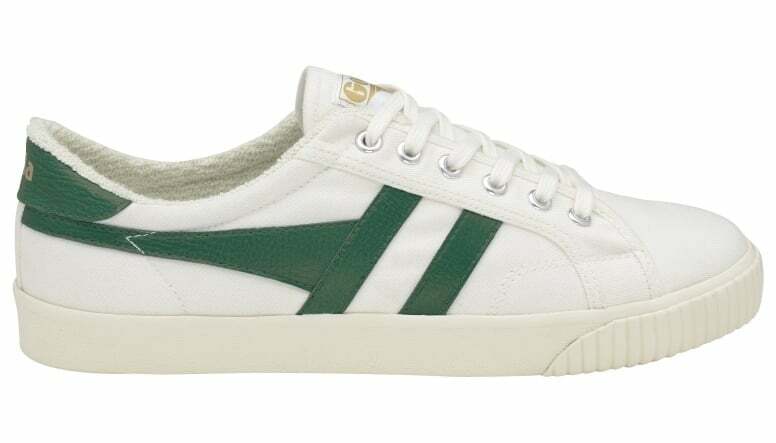 Gola Classics introduces Tennis – Mark Cox. 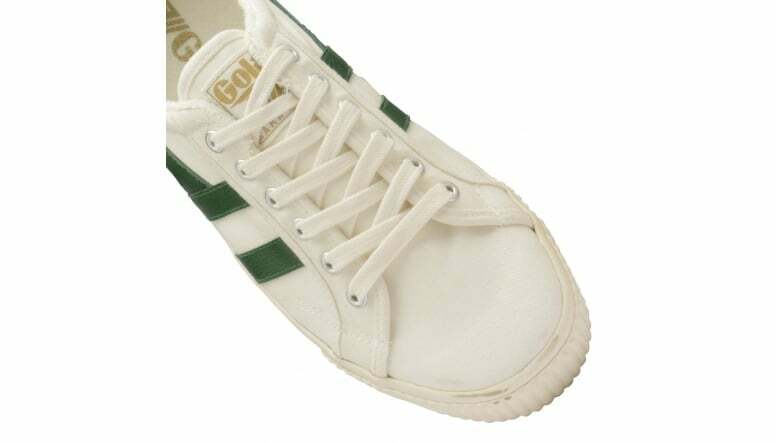 Based on an original Gola style from 1975 which was worn by tennis player Mark Cox, Tennis truly embraces Gola’s long history with racquet sports. 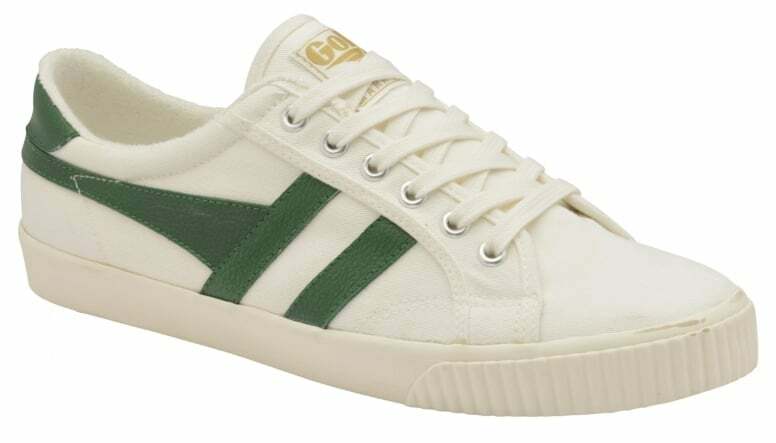 This men’s tennis inspired plimsoll features an off white upper, with a contrasting dark green wingflash. 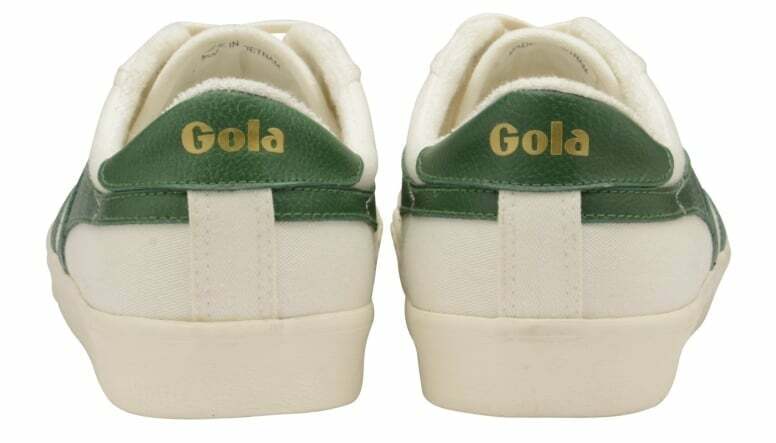 Gold Gola branding can be seen on the tongue and heel-turn. 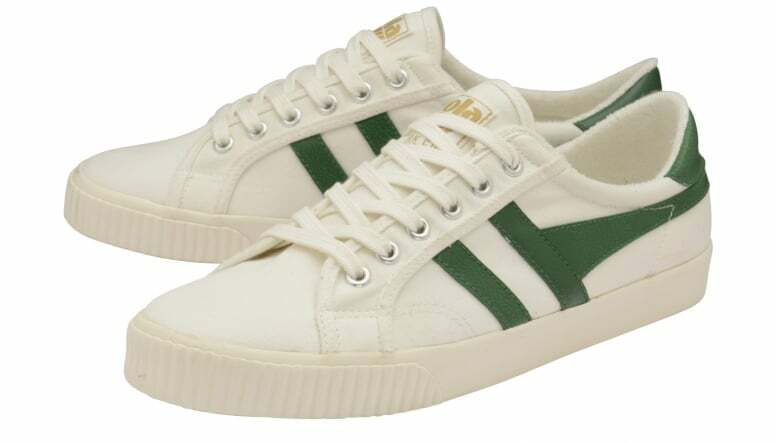 This style also comes in of off white/off white.